What are the Possible Sentences? You are here: Home / Defendant / What are the Possible Sentences? 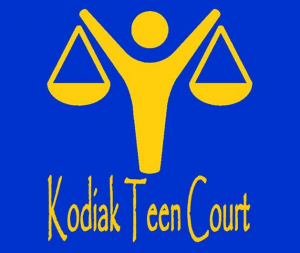 In Kodiak Teen Court, there are various sentences that can be recommended by the defending and prosecuting attorneys. The possible sentence for the defendant is discussed and ultimately decided by the panel of three judges. Attending an adult court hearing pertinent to their offense. Up to 45 hours of Community work service. Writing an essay about their experience. Paying restitution to the victim of the crime. Writing a letter of apology to the victim. Obtain Certification, Safety Skills, and/or Tech others in the Community.